Now a day, man seems to be the most dangerous animals of all but there was a time when the earth was filled with some of the most terrifying animals. For some time, man may have coexisted with them or may have witnessed their terror. Fortunately, all of the most dangerous animals in the world have gone extinct except their less harmful and minimized sized cousins and descendants. Let's have a look at ten of the most dangerous animals in the world, who are now completely extinct. Everyone knows of sloths. The slow, harmless creature living in the Amazon is a familiar mammal. You may be thinking what the sloth has to do with the most dangerous animals in the world? As today's sloths are known for their friendliness, their ancestors were completely opposite. 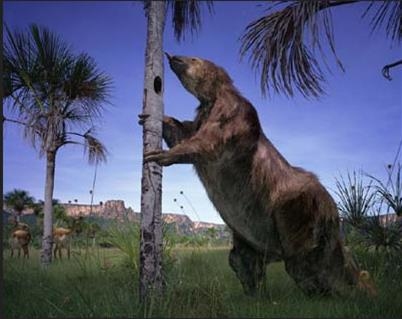 They were the giant sloths or the Megatherium of the Pliocene era. They had imposing height of 6m or twenty feet! Mostly found in the South America, Its weight reached four tons. It was primarily herbivorous, but it would feast on meat too. It matched the size of an elephant, but still, it was afraid of bigger predators. It thrived on the leaves from the trees and would occasionally eat meat. The giant sloth would have been an amazing thing to watch among the most dangerous animals. In the list of most dangerous animals in the world, we proudly present the Dinohyus. 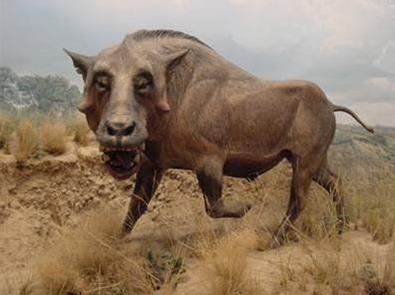 Dinohyus or Daeodon was the ancestor of pigs and boars. It flourished in the Miocene era. North America is considered to be its home. This giant pig weighed one ton and reached twelve feet in length. It was a relative of very aggressive type of pigs, called the Entelodon or the killer pig. Yet, it was very aggressive of the most dangerous animals of the world. Like its descendants it consumed all kinds of food. It would eat plants, fruits, nuts and dead carcasses. It also preyed on small animals. Its aggression and extreme size made it one of the ruthless Miocene predators and one of most dangerous animals. Animals become more intimidating when they come in humanoid or primate form. In the list of most dangerous animals, the giant ape or the Gigantopithecus had a colossal size. It roamed the ancient world some one hundred thousand years ago. Some of ancient humans may have witnessed this giant ape as its existence coincides with the existence of many human ancestors. 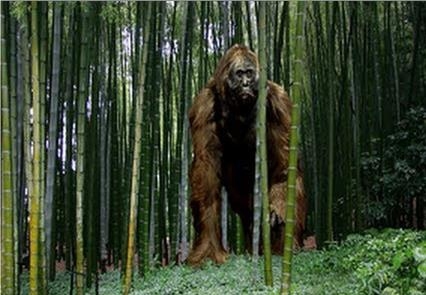 The fossils suggest that Gigantopithecus were the biggest ape towering as high as 3m or ten feet. It weighed twelve hundred pounds or five hundred and fifty kilograms. The giant apes mysteriously vanished. Scientists are unable to find the cause of their extinction. Some archaeologists propose that the advent of human beings coincides with the extinction, so the humans are responsible for their extinction. With its colossal height and primitive looks it is among the most dangerous animal in the world. Deinotherium or the terrible beast is the name of ancient elephants. 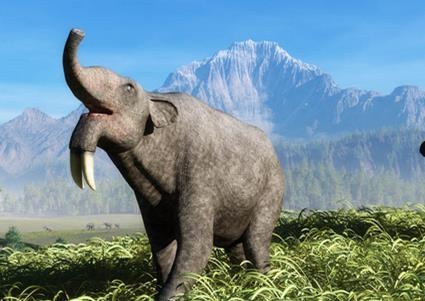 They were the biggest elephants ever existed. One of the 'terrible beast's” skull found in Germany was 4 feet long (1.2m) and 3 feet wide (0.9m). The Deinotherium weighed two to three tons. In contrast to modern elephant they had long tusks that curved downward. It lived up to the modern times of about 10,000 years. Our ancestors must have noticed this giant 'terrible beast'. They might have hunted down this most dangerous animal in the world. It is truly terrible among the most dangerous animals of all times. This animal thrived in Pliocene era. Most of the birds don't pose any threat to human beings. While some preying birds like eagle can inflict harm in rare case. Their flightless cousins are totally benign to human beings, e.g., Kiwi or penguin. 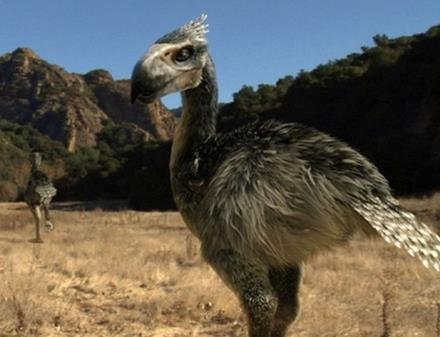 Millions of years ago, the earth was full with the terror birds. These birds frightened the prehistoric world. 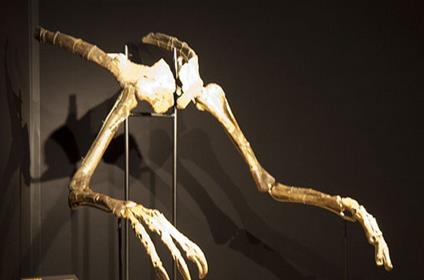 Phorusrhacidae or the terror bird existed some two million years ago. They would reach the height up to 10 feet or 3 meters. The terror bird gives tough fight among the most dangerous animals in the world. It preyed on small mammals. It would kill animals as big as horses! It would pinch on vital organs with its robust and sharp beak which would lead the animal to bleed to death. The other trick it would use to kill was to pick up small animals in the air and then drop them from there. Archaeologists don't know how this bird went extinct, but it also has to do with humans as their last fossils date back to the advent of humans. This is one of most dangerous animals you don't want see or meet alive. Deinosuchus or the ancient crocodiles were super giant ancestors of modern crocodiles. The name Deinosuchus means the terrible crocodile. The crocodile is most dangerous animal in the world even now. But then, they truly lived up to their names. They reached the length of 39 feet (12m) and weighed almost ten tons. They existed in the Cretaceous era. 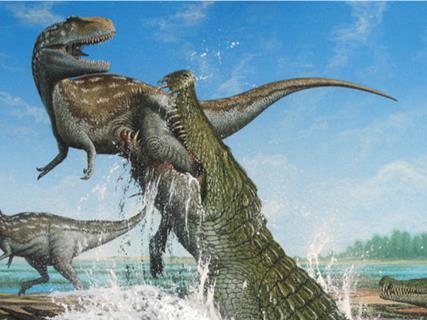 These monstrous crocodiles ate even dinosaurs besides fish, turtles and other marine creatures. This is one of the most dangerous animals that you don't even want to see in nightmares! Deinocheirus was a bird like dinosaur. This bird reached the length of 35 feet or 11m. Truly among the 10 top most dangerous animals, it weighed almost three tons. You can visualize its fearsome size by just looking at its fossilized hands, which are as long as a normal man. It ate plants and feasted on dead carcasses occasionally. The prehistoric world was filled with terror, not only from the ground, but from the above too as this one of the most dangerous animals of the past proves it. You may be afraid of giant lizard such as Komodo dragon, but imagine a world with a lizard which dwarfed the modern horses. We are introducing you to the biggest lizard among the top 10 most dangerous animals. 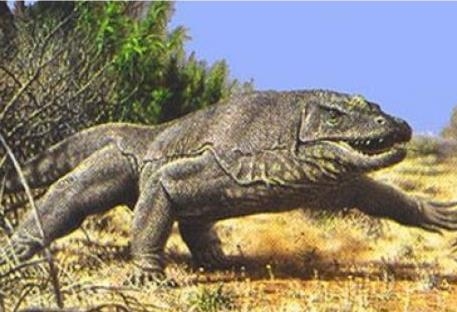 The megalania or the giant ripper lizard is blown up version of the Komodo dragon. It was 7m or 23 feet long. It weighed more than 600 kgs or 1,400 pounds. It feasted on giant kangaroos and wombats. Its saliva was venomous. The Australian aboriginals might have encountered this monster and folklores may contain the memories the most dangerous animals. Luckily, for humans this giant lizard vanished completely. What is the most dangerous animal in the world? The answer is simple; nothing is more frightening than the sight of a snake. The longest existing snake is Reticulated Python, which is 7m or twenty three feet long. 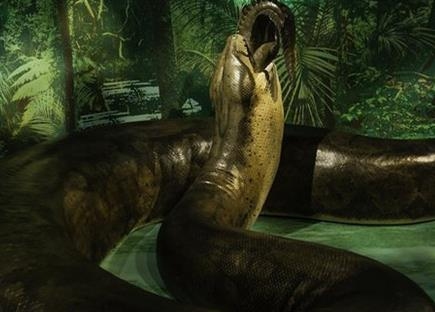 Recently, archaeologists found fossils of ancient snakes which they named Titanoboa. Its length reached 15m or forty five feet and was 2,500 pounds in weight. The sight of this behemoth among the most dangerous animals would have been enough to scare the most fearless. It could easily devour animals as big as cows and buffalos. Megalodon lived twenty eight to 1.5 million years from now, was the biggest shark. While the modern sharks are 6m long, this monstrous shark was 16-20m in length or 67 feet. To visualize this behemoth shark, look at its sharp teeth, which were 18 cm long. The megalodon would prey on whales. It was twice the size of modern sharks. Megalodon went extinct due to diminishing food resources, decrease in sea level and temperature. If Megalodon would have existed, the sea travel for humans would not have been possible. In our list of what is the most dangerous animal in the world, Megalodon comes at number one. The earth has harbored life for almost 3 billion years. Evolution made possible for the existence and emergence of the outrageous number of animals. These animals over the period of time become horrifying with their size, abilities and preying skills. We have collected the list of top 10 most dangerous animals. These animals terrorized the prehistoric world. We amusingly ask ourselves what is the most dangerous animal in the world? Fortunately, for man these dangerous animals went extinct otherwise the world would have been a very different planet. The answer would have been very different too!